God bless the souls of the ones who chose to quit their existence in this world as a means of escape from hardships and suffering. But remember, this is not an answer to your problems. 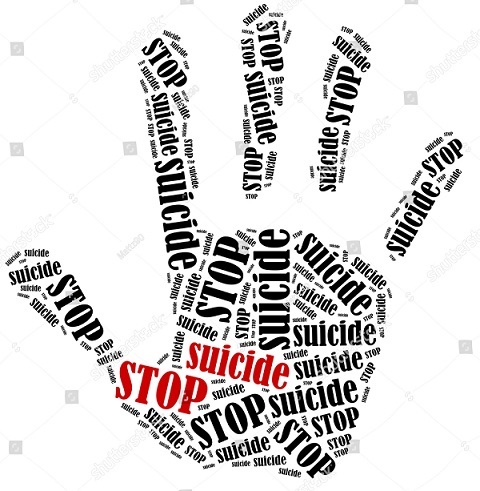 Today the cases of suicide among bankers are increasing exponentially. Bankers, from lower ranks to the ones on top, are evenly exposed to tremendous pressure and torture. Many of us find it difficult to bear all the harships, and find the answer in a fatal self-harming decision, without thinking about the families or the long term impact that such decision might have on the lives of our near and dear ones. So this article is an appeal to all the bankers to be brave and thoughtful while taking any such decision in their life. 1. Are you the only one suffering in your job? If you think that only your job has risk and pressure, think about the soldiers, policemen, fire fighters and the likes of those who literally put their lives at stake to earn their livelihood. Every job has its pros and cons. Accept the fact that it is natural to have challenges in a job and it’s ok if you could not achieve some of them. ACCEPTANCE is the key to calm your mind. When you accept a fact, you should ponder over the reasons that led to failure which further helps you to achieve success in the future. It is necessary that you communicate your emotions with your near and dear ones. It is not necessary that you have to talk about your personal or professional issues with your family only. You might have a discussion with a friend, or a colleague, or a doctor if you are unable to open up before anyone else. A good conversion not only gives your emotional state some relaxation but also offers an opportunity to find a rational solution. Remember, human beings are social beings. It is always helpful to share what bothers you with others. Having self destructive thoughts in times of emotional instability is a natural phenomenon. But before giving up to such thoughts, think about atleast 5 such people who would be most affected by your absence. They could be your family members, loved ones or close friends. You’ll realize that the amount of pain and misery you’ll put on your loved ones is much more than what you presently undergo. No one else can ever make up for your absence. Giving up is not the answer. The reason you are under stress would not be affected by your self-harming decision. Rather you should make up your mind and prepare to overcome all hurdles that befall you. 4. Think afresh and don’t give up. The position that you hold is by you efforts only. No one has put you on your present position as a charity. So, even if you don’t feel kind continuing with what you do presently, don’t thinking about ending your life. Start afresh. There’s so much that you could do. Don’t think what others might say. Think how you could shut others by setting up an example. It takes one step to make the right move, and it’s never too late for you to make that right step. You can bounce back and outshine all others. 5. Don’t tolerate any Injustice, be bold. If you are being harassed or tortured in a way that makes you feel insecure or humiliated, then keeping silent is no answer. Deciding to quit your life would make you a subject of public talk without affecting the person harassing you. There are so many laws and rules to protect the secrecy and confidentiality of the whistle-blower, use such channels. Your one step of bravery could be instrumental in bringing a change in the things around you. So, speak up and raise your concern. If you have not done any wrong, then you won’t be harmed. Banking, today, has become such a field where the lines separating the personal from the professional seems to be fading away. Many of us are disturbed by our personal issues in our professional conduct, and almost every one of us is haunted by our professional life interfering in our personal domain. But it lies totally on us about how we balance the two aspects of our lives and how we maintain a mental and emotional peace. At the cost of repetition, we once again make a sincere appeal to all our fellow bankers of today and tomorrow, to think as many times as it takes to save your precious life. Talk about your problems, think about your family and think about a logical solution to your problems. Your decision to end your life might sound like a quick solution, but it proves lethal to your family and friends. Consider this request on behalf of the banker’s community.